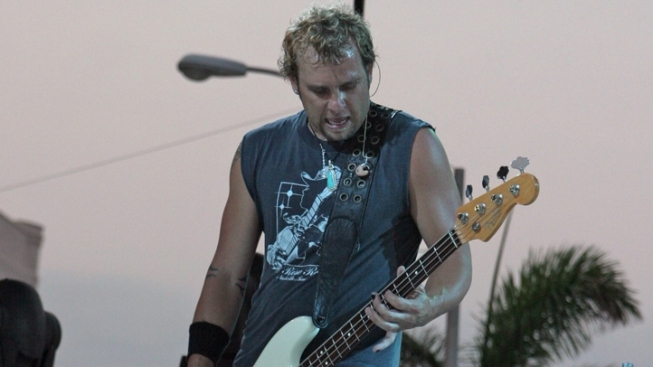 Bassist Todd Harrell of the band Three Doors Down was charged with DUI and for not wearing a seatbelt after an accident in southern Mississippi. 3 Doors Down bassist Todd Harrell has been released on $1,000 bond after being arrested on a DUI-related charge following an accident in southern Mississippi. Police Chief Wayne Payne says in a news release that 40-year-old Todd Harrell was pulled over after 7 a.m. Thursday in D'Iberville after failing to stop at an intersection and colliding with a pickup truck. Payne says Harrell was charged with DUI and for not wearing a seatbelt. Harrell was released on bond after an appearance before a judge. Payne says Harrell consented to a blood test and a toxicology report is pending. Harrell, former guitarist Matt Roberts and lead singer Brad Arnold formed the band 3 Doors Down in Escatawpa, Miss., in 1996. Roberts left the band in May with health problems.